As legalization of marijuana rapidly expands throughout the country, it has opened the doors to a host of questions and areas of concern regarding insurance coverage. It’s not just about the possibility of civil forfeiture action or criminal arrest so long as the drug remains illegal at the federal level. Among the areas in limbo: Commercial coverage, workers’ compensation, product liability, healthcare insurance and more. Right now, we’re looking at 27 states that have either legalized or decriminalized marijuana possession and sale. Four states allow it for recreational purposes, and many others are expected to do so in the coming years. In fact, within the next four years, it’s expected the marijuana industry is going to balloon to more than $15 million. There is great concern about liability issues, so there is a demand for insurance coverage. However, it can be difficult to secure because so long as there is a widely varying patchwork of laws, it’s considered a high-risk venture. This is part of the reason why our California marijuana lawyers recommend extensive and ongoing legal consultation for growers, dispensaries and other providers of marijuana. There are so many areas where marijuana producers and distributors can become vulnerable to legal action, and understanding ways to minimize that liability can be invaluable. But here is where marijuana providers may have the upper hand: The McCarran Ferguson Act directed insurance regulation be under the purview of individual states. So some insurance companies that are choosing to ignore state law and/or deny marijuana claims on the basis of federal criminal law might find themselves facing a losing battle in court. In some cases (namely, Washington state and Oregon), there are express statements in state statute that allow for insurable interest on marijuana (so long as the quantity is lawful). What’s more, these state laws specifically say insurance companies can’t declare the contracts unenforceable on the basis of federal marijuana law. Homeowners and caregivers too are likely in for a battle with insurance companies on certain points. For example, a home insurance plan may offer to cover $5,000 in losses in the event of a disaster or theft. But someone cultivating marijuana for medicinal use could have tens of thousands of dollars in plants that were lost in that event – not to mention the high-energy lamps and other expenses. Arguing for compensation for this could be challenging. For example, what if the fire is the result of the residential grow operation. 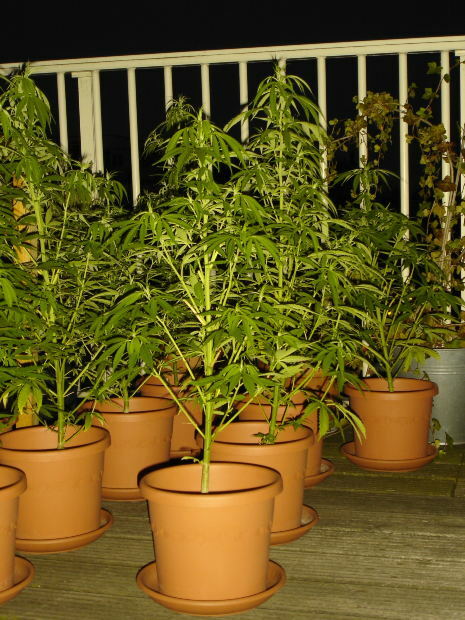 Let’s say you are legally allowed to possess six plants, but you were growing eight. Can an insurer deny the entire claim because the losses are excluded under provisions that bar losses caused by criminal acts of the policyholder? Certainly, insurers will try.